Begin with a full body exfoliation to detoxify and soften your skin with warming Amber scents to unwind. Followed with a slow relaxing Moroccan style massage. Nourishing and Soothing date exact is blended with Amber oil for a complete body and mind relaxation. GWP - a Tilley Mystic Musk soap. Little Lift Tonic - Full body massage , Balancing Facial and Traditional Manicure. GWP - a Tilley Soap. All gifts over $179 come boxed with a big softee heart chocolate and GWP. 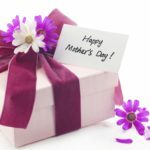 Tonic Australia - Luxury sleeping and traveling accessories arriving in time for Mothers day gifting! Empire Australia - Our fresh new range of essential oil bouquets made in Melbourne. 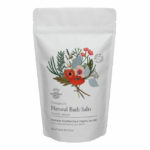 Generous 1 kilo pouches of therapeutic bath salts to pamper and detoxify body and soul. Eucalyptus + Lavender and Mandarin + Bergamot. Winter sorted!